Swedish whisky distillery Box is to change its name to High Coast distillery to avoid a ‘brand collision’ with Scotch whisky blender Compass Box. The decision comes after Compass Box, the producer of Hedonism and Spice Tree which is established in several global markets, raised the issue with the growing Swedish producer last year. Following legal consultation and market analyses, Box will change its name to High Coast on 30 June to coincide with the Box Whisky Festival. The name is a reference to the High Coast of Sweden, Höga Kasten, where the distillery is based. ‘The name change links our distillery more closely with the High Coast region and the fabulous place we live and work in,’ said Box distillery CEO Thomas Larsson. Box’s directors said the company ‘has slim chances in a brand-name dispute with a multinational company such as Bacardi’, which acquired a minority stake in Compass Box in 2015. London-based Compass Box was founded in 2000, releasing its first whisky, Hedonism, in the same year. 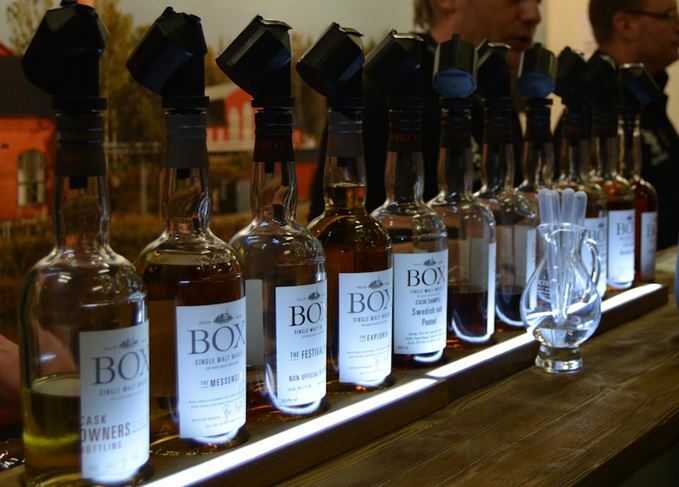 Box distillery was founded in 2010, releasing its first whiskies in 2014. The first High Coast branded bottles will be released internationally this autumn once the name change is complete. Dave Broom assesses six new whiskies, including a trio of Glenlivet travel retail bottlings. Is honey-flavoured Scotch an atrocity? Can flavours do Scotch a favour? Or should honeyed whisky buzz off? Two newies from Compass Box, a pair of Boutique-y bottlings, a Benromach and a Highland Park.